Bring your ride up to speed after the winter. Even though we have Sprung Ahead, the late winter weather in the northern climates is keeping enthusiasts indoors, classic and collector vehicles are still tucked away until the end of the Salt Season. Now is the time to dust off the classic and get ready for driving tours, car shows and cruise ins, and do the mechanical checks to ensure that you can have a good time in a few weeks. My first task when putting a car/bike on the road after a period of inactivity is to make sure it will stop before I make it go. A quick trip through the braking system each spring can save a load of hassle later in the year when you want to enjoy the ride. 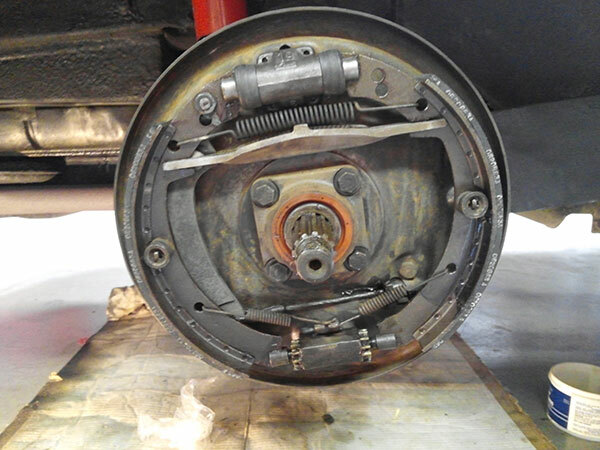 If you have drum brakes take the drums off if possible, clean and lubricate the mechanisms and inspect the linings for rivets showing through or other component failure such as coming loose from the shoe, broken springs or clips. Make sure the brakes are adjusted properly to avoid long pedal throws and unequal braking across the axle. If you have disc brakes check pad thickness, for uneven or excessive wear, that the pistons push back freely and easily; check the disc for grooves or gouges on the friction surface. Check the brake fluid level and look at the color/clarity of the fluid, discoloration or cloudiness indicates contamination that hamper the effectiveness of the braking system: if the fluid in the master cylinder reservoir is contaminated flush the system completely and replace the fluid with fresh. If the brake fluid is clear and the proper color, bleeding the brakes is always a good idea after sitting over the winter. Usually contaminated fluid will collect near the wheel cylinder/caliper and can readily be bled out to assure better braking performance. Inspect the flexible brake hoses, check for cracking, fluid leaks, corrosion etc… The internal passage of these flexible hoses will fail and restrict the flow of the brake fluid out of the caliper/wheel cylinder, effectively keeping the brake applied or dragging. If you find abnormally heavy brake dust and excessive friction material wear, the cause may be a collapsed flexible brake line. Inspect the solid steel lines while you are under the car, look for corrosion which can indicate leaking fluid, check all the junctions. While bleeding the brakes, go ahead and bleed the clutch, if your vehicle is so equipped; it is easier to get all the bleed and brake fluid equipment out only once. Standard and hi-temperature brake fluids absorb moisture, try to keep all hydraulic fluids tightly capped and sealed, do not leave the container sitting open especially in humid conditions. In the collector car world much of the discussion revolves around fuel; in the past it was about octane levels and who had the cleanest fuel at the pump, today’s discussion centers on the amount of alcohol in the gas and the damage it causes. Alcohol in fuel, much like in brake fluid, absorbs water and leads to oxidization of the components throughout the fuel system wreaking havoc on the older components. During periods of inactivity the gasoline and alcohol separate, the water laden alcohol lies against the metallic surfaces and oxidizes the material, etching the surface and creating tiny pieces of debris that move through the system and create issues that cause poor performance. Today’s gasoline starts to break down chemically within thirty days, with many collector vehicles it may take quite a bit longer to run through a full load of fuel. Even with the addition of a fuel stabilizer and alcohol counter-acting agents the various chemicals within the system create a gelatinous solution that joins forces with the bits of debris and will clog fuel lines, filters, pumps, jets, capillaries and injectors. When the fuel evaporates dried flakes are left behind in the system adding to the gelatinous ooze that restricts flow; internal components become encrusted in a varnish like substance that will clean off with brushes, steel wool and solvent. Installing a clear in-line fuel filter between the tank and the pump will capture bits of debris, rust and congealed petro chemicals before they reach the critical and expensive components such as fuel pumps, fuel injectors and carburetors. The corrosive nature of the alcohol universally damages the fuel system from the gas cap to the point of induction, including the rubber fuel lines. The rubber fuel lines harden, lose their flexibility and will fail causing fuel leaks, air leaks, poor running or the greatest fear amongst us, FIRE! Carefully inspect hoses and look for cracking at the junctions, or the ends where clamped around a metal line; if the hose is stiff or it is cracked on the ends replace it with an ethanol resistant component. 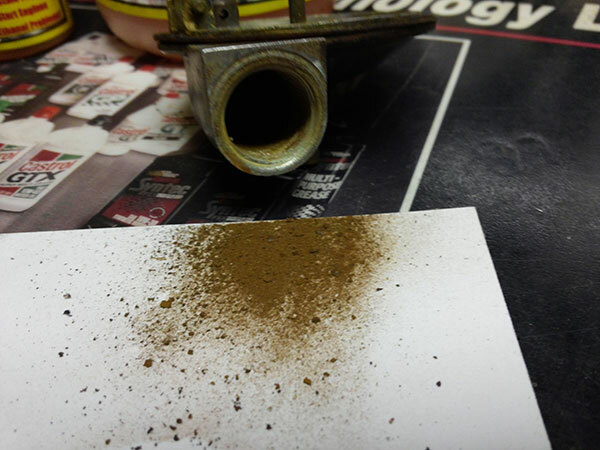 The damage from the corrosive nature of the fuel can be widespread, inspect fuel line clamps and replace if corroded. If you encounter difficulty starting, due to lack of fuel, work backwards from the jet or injector to find where the flow of fuel stops; frequently we find the fuel has congealed in the carburetor float chambers and is clogging the capillaries that feed fuel to the jets. 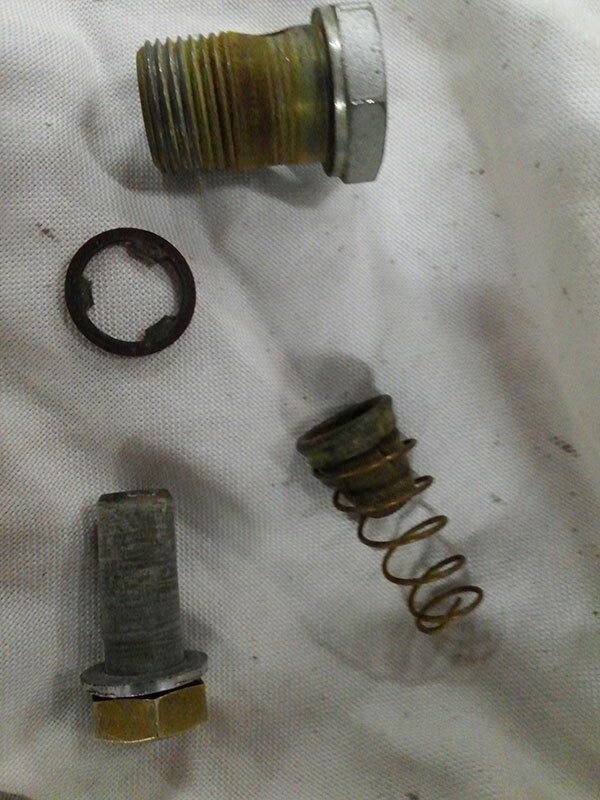 Clean the chamber with shop towels and solvent removing the ooze in the bottom of the float bowl, pour carburetor cleaner into the bowl and allow it to soak through the chemical residue and oxidization in the passages that feed the jets, in some applications a thin wire can be used to help clear the passages in the carburetor. Most pumps work with a diaphragm action, the alcohol will deteriorate the rubber diaphragm and the pump will need service or replacement. If the fuel line between the tank and the pump is clogged the pump can fail. We have been successful using a hand operated brake bleed vacuum pump to clear clogged fuel pumps, using a low pressure suction on the outlet side often will pull the contaminated fuel from the pump and allow proper operation. Metal canister fuel filters can be the source of the clog, capturing debris and contamination is their job, regularly replacing it is a good practice. Fuel lines can be easily cleared with compressed air forced through the line, we usually back flush the lines to clear clogs; be aware that filters and pumps can be damaged by reversing the flow, work around these components when performing these tasks. 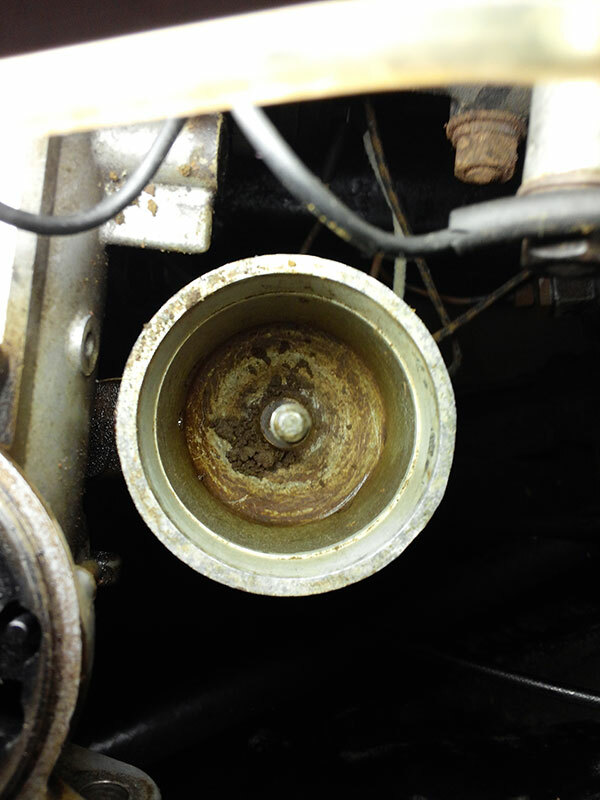 Check the Cap on the tank, oxidation can hinder the operation especially of older ventilated gas caps and not allow the fuel to be drawn out of the tank through the fuel line. More solutions to the fuel problem are becoming available; the most straightforward answer seems to be to buy gas with no ethanol; the Historic Vehicle Association offers a list and map of gas stations offering ethanol free fuel. Many fuel distributors offer ethanol free fuels, a little research in your local area can highlight where to get fuel that will perform better in your classic car or bike. With both the brake fluid and the gasoline if you should spill some on the paint or finish of the vehicle wipe it off immediately and wash the area with plenty of water, the alcohol will remove wax from the finish and start etching into the paint very quickly, use appropriate fender covers and have a supply of towels handy in case of spills. Know where to find the fire extinguisher. See you on the Road, in a Classic.